Horst Matthai Quelle (30 January 1912 – 27 December 1999) was a Spanish-speaking German philosopher. 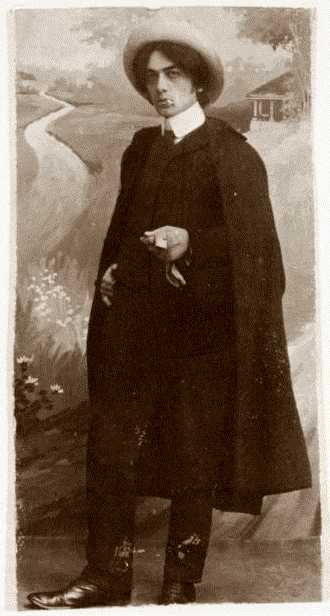 Johannes Holzmann (October 30, 1882 – April 28, 1914) was a German anarchist writer and activist who generally went by the pseudonym Senna Hoy. Julia Bonk (born 29 April 1986, Burg bei Magdeburg, East Germany) is a Left Party politician in the Landtag of Saxony. Elected at age 18, she became the youngest member of a parliament in Germany. Hartmut Geerken (born 15 January 1939 in Stuttgart, Germany) is a German musician, composer, writer, journalist, playwright, and filmmaker. 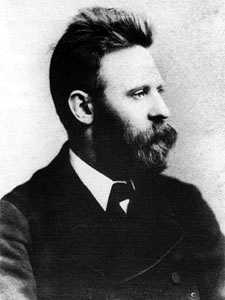 Silvio Gesell ([ɡəˈzɛl]; March 17, 1862 – March 11, 1930) was a German merchant, theoretical economist, social activist, Georgist, anarchist and founder of Freiwirtschaft. Georg von Rauch (12 May 1947 — 4 December 1971) was a member of the left-radical Blues-Scene in West-Berlin at the end of the 1960s during the German student movement. Clara Gertrud Wichmann, also known as Clara Meijer-Wichmann (17 August 1885 – 15 February 1922) was a German–Dutch lawyer, writer, anarcho-syndicalist, feminist and atheist.